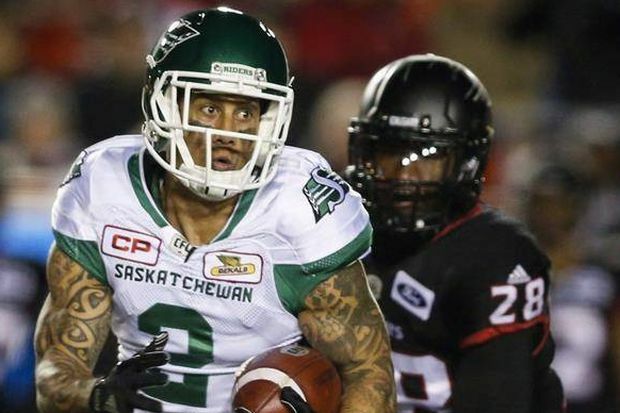 Saskatchewan Roughriders' Chad Owens runs with the ball during a game against the Calgary Stampeders, in Calgary, on Oct. 20, 2017. According to Peel regional police, Owens was arrested Monday and appeared in court Tuesday. No further details were provided. Owens moved his family to Canada full-time in 2015 from Hawaii, purchasing a home in Mississauga.